The ITIL 4P themes are a crucial part of the ITIL Service Design stage. If one of the ITIL 4P ‘s is not present, the Service Design stage can not be successfully completed. IT service managers must understand the value of the ITIL 4P ‘s in the context of ITIL Service Design. 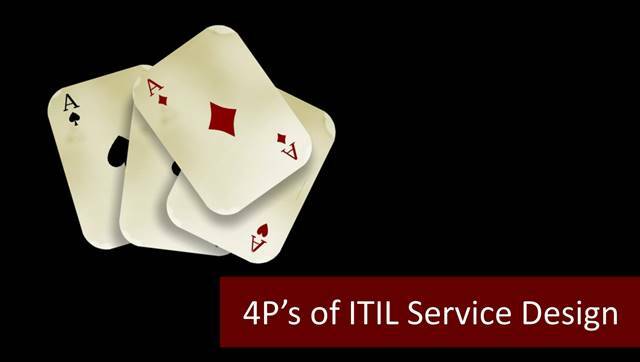 Let’s look at the ITIL 4P ‘s to see how they fit into the ITIL Service Design Stage of the ITIL Service Lifecycle. People is the first of the ITIL 4P ‘s of Service Design and refers to sufficient personnel and necessary know-how of employees. When designing ITIL services or ITIL processes, you will need engineers, software architects, network architects, and administrators etc. They are capable of designing new services or updating existing services in a service provider. If you do not have enough people in your team to complete the processes of Service Design, you will be overtaxing the employees that you do have and they might deliver inferior work as a consequence. The other risk related to the ITIL 4P ‘s is that you will lack technical knowledge if your team is too small. Yet, even though you may have a sufficient number of employees in the organization, if they do not have the necessary know-how, you will have problems in Service Design stage. This part of the ITIL Service Lifecycle is a very technical stage and requires a wide range of technical expertise. If your team lacks the necessary technical skills to develop a new service or to improve on an existing service according to the identified business objectives, you will end up with an inferior service. Or worse, a service that is not implementable. The second of the ITIL 4P ‘s of Service Design is Processes. There must be defined service management processes, roles and requirement descriptions, and responsibilities in a service provider organization. Otherwise, the Service Design phase won’t produce efficient outcomes. Service Management processes determine the anticipated inputs to deliver the target output and this eases the management of the ITIL Service Design stage in an organization. Without processes such as service catalog management, the Service Design stage will not flow logically and some steps for success may not be executed. Processes are one of the critical ITIL 4P ‘s. Roles and requirement descriptions clarify which role will be doing what during the Service Design stage in the service provider organization. Questions need to be asked such as: who will be the responsible for an activity and who will be accountable for an activity? Knowing who is responsible and accountable for which activity will ensure that all activities are completed and will avoid blame-shifting if the activity falls on the ground. This factor also falls under the processes theme of the ITIL 4P ‘s. Finally, requirements for the new services or changes to existing services must be clear and concise to deliver the exact output and meet the expectations of business. Before going into the Service Design process, Service Managers must clarify all the ambiguous requirements that were set during the Service Strategy stage. 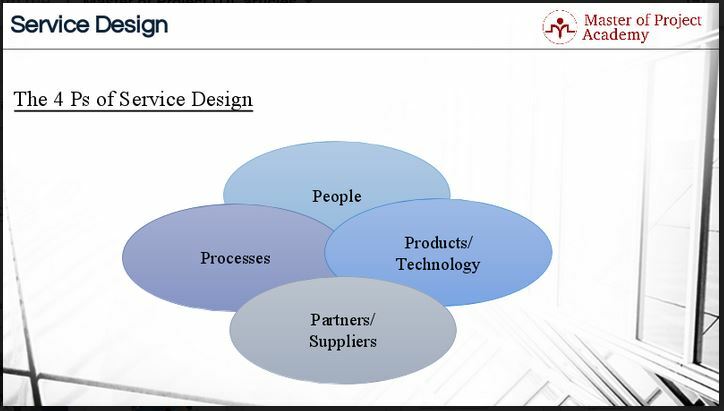 These factors all fall under the processes theme of the ITIL 4P ‘s of the Service Design stage. The third of the ITIL 4P ‘s of Service Design is Products/ Technology. The Products and Technology theme of the ITIL 4P’s of Service Design covers services, technology, tools and measuring processes. 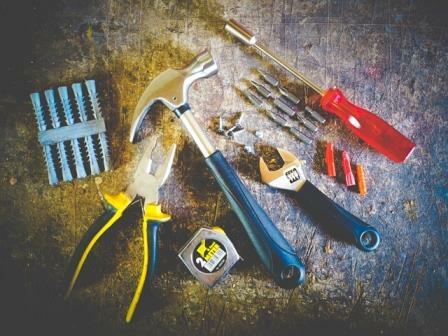 When designing new services or updating existing services in a service provider organization, the Service Management team will need some services or tools to produce the expected outputs. In addition, the team will also need measuring processes and tools to evaluate the outcomes of the work and whether it meets the expectations of the business requirements. Just as no service can be designed without people, no service can be designed without the correct tools. This is an important aspect to remember regarding the theme of the products of the ITIL 4P ‘s concept. Furthermore, if the right measuring systems are not in place, the team will not be able to ensure that the service that they are designing will deliver on the organization’s expectations. These all belong to the Products/ Technology ITIL 4P ‘s theme of the Service Design stage. The fourth and the last of the ITIL 4P ‘s of the Service Design is Partners and Suppliers. Service Providers do not serve all of its services or goods with its own services. Partners or suppliers might be providing external services to a service provider to deliver its end services to its customers. It is important that service level agreements are in place to ensure that external parties know what are expected of them and that they will provide quality services that serve as inputs to the design of new services or the updating of old services. In this respect, manufacturers, suppliers, and subcontractors, who are capable of supplying service assets in the necessary quality belong to the partners/suppliers P of the Service Design phase. The ITIL 4P concept is a reminder of all the important factors that must be in place to design a workable and efficient service. As briefly explained in the free ITIL training, this service must be able to be handed over to the ITIL Service Transition phase. If all the ITIL 4P ‘s were not in place during the Service Design stage, it will be impossible to move on to the next stage. Therefore, it is critical that each of the ITIL 4P ‘s is carefully examined before starting with the Service Design stage. If one of the ITIL 4P ‘s is not in order, it must be fixed before starting with the service design.